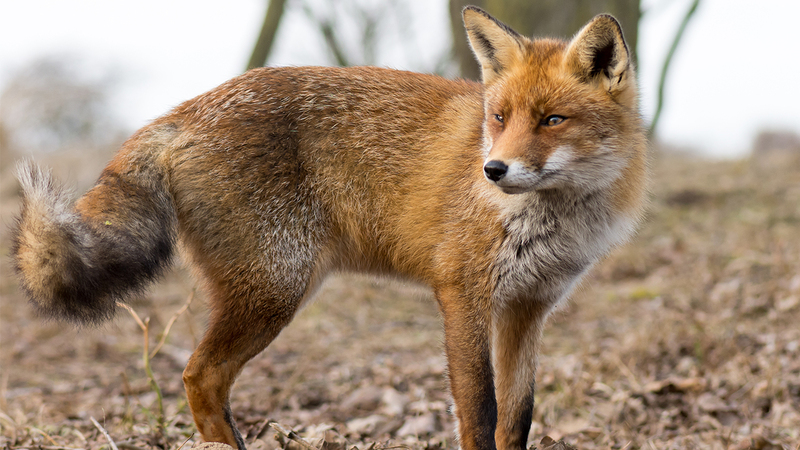 PITTSGROVE, N.J. -- A woman trying to fend off a rabid fox that was biting her in the leg reached down with one hand to hold shut its mouth and with the other strangled it. "I couldn't do anything else to get it away from me," Tammy DuBois, 52, of Pittsgrove, told NJ.com "I don't like to kill anything." The attack occurred July 18 shortly after she heard rustling in some bushes while she was walking out to her backyard garden. DuBois says the fox ran out and bit her leg multiple times, puncturing her skin. She tried to escape into her house but couldn't while the animal gnawed on her leg, DuBois said. "It was biting at my leg, I had to do something," DuBois said. She grabbed the animal's snout with one hand and the fox's neck with her other hand, she said. The fox struggled to get free but soon went limp from being choked. She cleaned and bandaged her badly bleeding leg and called her husband, who took her to a hospital, where she began a two-week series of rabies treatment. Animal control officers retrieved the dead fox and sent it to the state for tests, confirming Monday it had rabies. DuBois is the only human attacked by a rabid animal so far this year in Salem County, officials said.